Bags are available in a variety of styles and designs. I love the whales and elephants best! Angela has the elephant wallet and she showed it to me at dinner on Friday. Such a cute design! I love Bungalow 360! I've been stalking that whale print for a while! 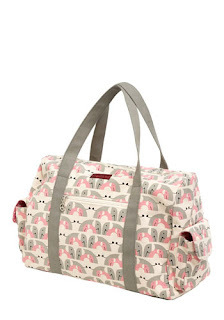 Oh I NEEEEED that Elephant bag!!! Super cute bags! I'm with Kate...that elephant bag is fabulous! 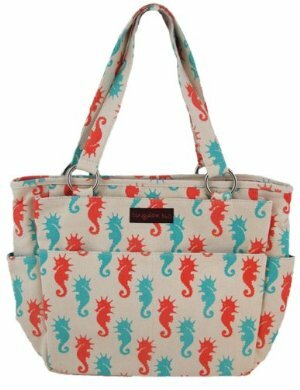 The whales and seahorse prints are so cute! Reading your blog is dangerous to my financial health. ;-) VERY cute things. How cute! Love the whales!